Dr. Greuner performed two fellowships after his 5 year residency in General Surgery. A two year fellowship in Cardiovascular and Thoracic Surgery at Albert Einstein School of Medicine in New York City, and a Body Contouring fellowship with Dr. Victor Rosenburg in New York City. Although Dr. Greuner’s surgical training and practice encompasses a broad base of surgical procedures; his area of interest lies specifically 2 main areas, endovascular (no incision) vascular surgery, particularly endovenous procedures, complex body wall reconstruction and hernia surgery, especially redo procedures and procedures after massive weight loss. Dr. Greuner is a specialist at re-do and failed hernia repairs in the past. He has pioneered techniques such as the Slim-Line Hernia repair, where he performs hernia repair on the abdominal wall through a tummy tuck incision for maximum cosmetic benefit while addressing the medical problem. Hernias are a major cause of inefficient muscular contraction, as well as asymmetry in the abdominal wall. To take his body wall surgery and expertise one step further Dr. Greuner also performed a Body Contouring Fellowship with Dr. Victor Rosenburg, one of the most experienced and reputable Plastic and Reconstructive surgeons in the NYC metro area, to help him achieve ideal symmetry, and physical benefit while also restoring the functional components of the patients plagued with hernias to achieve the most ideal, functional muscular contraction. He has also developed other novel techniques such as the No Knife EVLT, a procedure that he pioneered and perfected to be able to seal diseased veins with a catheter so small it fits through a needle no larger than that used to draw blood. This technique has been featured in many major publications and national TV broadcasts showcasing its superiority over traditional methods, and NYC Surgical is the only practice in the world using this technique. Dr. Greuner also pioneered one of the largest lipedema surgical programs in the country and is one of the handful of surgeons in the world trained in lymph sparing liposuction for this disease as well as other soft tissue disorders. Dr. Greuner is passionate about utilizing the most modern and minimally invasive techniques available to accomplish the surgical problem at hand, and when more than a tiny scar is inevitable, he does his best to place it in the most inconspicuous place, such as below the belt line, or in the armpit to avoid disfiguring his patients. While performing surgical procedures through a non-traditional incision is very challenging, he has become adept at doing just that, and in doing so, protects his patients from unsightly scars. He trained with pioneers in minimally invasive and robotic (laparoscopic and endovascular) surgery, and has performed thousands of these procedures successfully. 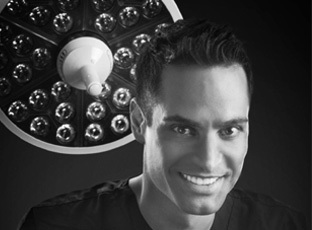 His passion in medicine is improving minimally invasive surgical techniques for less downtime and better results. He was voted a “Top Surgeon” by the Consumers Research Council of America 6 years in a row, 2010-2015. He is licensed to practice medicine and surgery in New York, New Jersey, Connecticut, Massachusetts, Florida, California and Arizona. Dr. Greuner speaks Spanish and English, as well as conversational Portuguese. His interests outside medicine include physical fitness, skiing, snowboarding, travelling, photography, and cycling. He is an avid but amateur athlete regular participating in triathlons and competitive events, mostly for charitable causes. Due to his acknowledged expertise in minimally invasive and cardiovascular surgery, Dr. Greuner is regularly quoted in articles in major magazines and newspapers, and he has made frequent appearances on national television programs such as CBS’s “The Doctors”, the “Dr. Oz” show, Eyewitness News, and PIX 11. He is a monthly medical correspondent for Fox TV Charlotte, and a regular writer for Muscle and Fitness magazine due to his passion for health, fitness, and achieving optimal functionality of the human body.